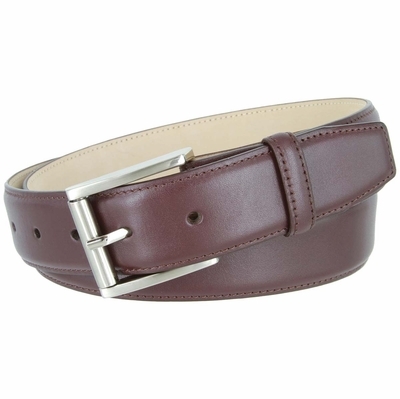 3526 Smooth Italian Calfskin Leather Dress Belt with Roller Buckle 1 3/8"
Home > BELTS BY WIDTH > 1 3/8" Wide Belts > 3526 Smooth Italian Calfskin Leather Dress Belt with Roller Buckle 1 3/8"
Smooth Leather Dress Belt with Brushed Buckle Set. 1-3/8" Smooth Genuine Italian Leather. Brushed Nickel Plated Roller Buckle.